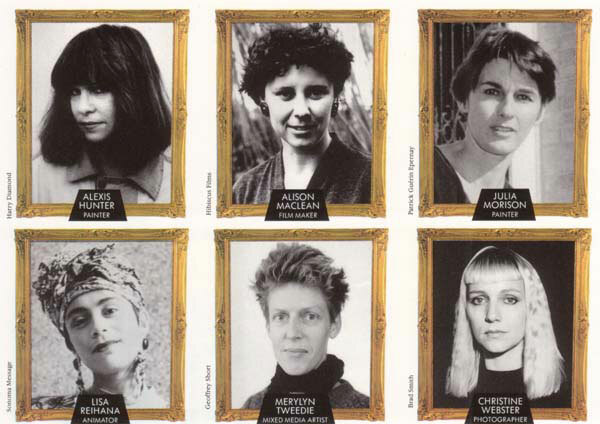 This film profiles six contemporary artists, internationally successful in their fields of painting, photography, film making and sculpture: Alexis Hunter, Alison Maclean, Julia Morison, Lisa Reihana, Merylyn Tweedie and Christine Webster. Following the artists’ working lives in France and England as well as New Zealand, Pleasures and Dangers provides a lively introduction to new trends in the arts. Made with the assistance of the NZ Film Commission Short Film Fund, NZ on Air, and the Moet & Chandon Art Foundation. The companion book “Pleasures and Dangers” is published by Longman Paul (Auckland).